With a stay at Sendai Garden Palace in Sendai, you'll be a 1-minute walk from Zuihoden Mausoleum and 7 minutes by foot from Sendai Anpanman Children's Museum & Mall. Located in Fukuoka (Hakata-ku), Guest House Naraya - Hostel is within a 15-minute walk of Tochoji Temple and Fukuoka Asian Art Museum. The front desk is staffed during limited hours. When you stay at Jinya Ryokan in Hadano, you'll be in the suburbs and 8 minutes by car from Komakata Shrine. Free self parking is available onsite. 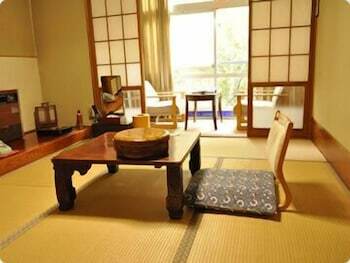 A stay at GUEST HOUSE DENCHI places you in the heart of Tokyo, within a 15-minute walk of Sensoji Temple and Asakusa Shrine.